So, how does it work and what does the research show so far? Get the facts below — plus find some helpful insight on side effects and more from PatientsLikeMe members who have tried ketamine. Let’s back up — what is ketamine? Ketamine has been around since the 1960s, and over the years it has been used as an anesthetic, treatment for some types of pain and a sedative in certain instances. It’s also been abused as a “party drug” due to its hallucinogenic high. But in the 2000s, researchers discovered that ketamine could also have rapid antidepressant effects — in as little as 24 hours — for those with TRD when administered in a small, single dose IV infusion. A number of clinical trials have since linked the effects of ketamine with improvement in symptoms of major depressive disorder (MDD), as researchers continue to find the optimal dose and the best administration routes (like potentially a nasal spray). 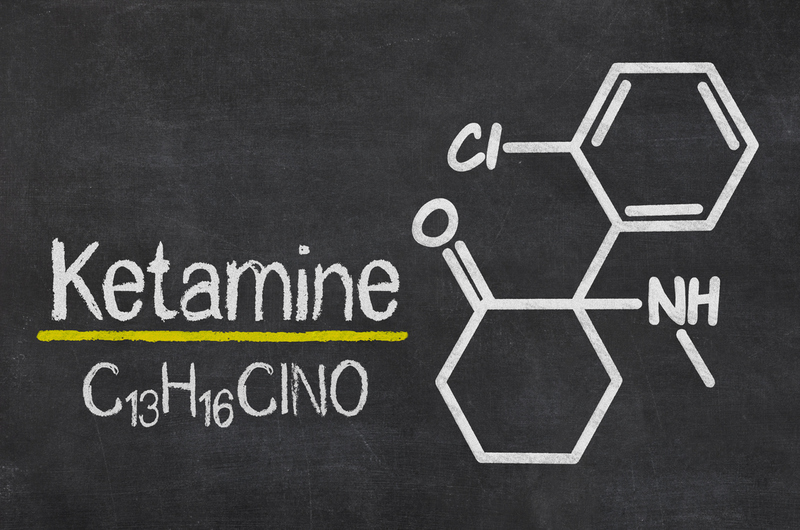 Ketamine continues to be studied further in other mood disorders like PTSD and OCD with a focus on its long-term safety. Ketamine stimulates the AMPA receptor, which increases levels of the protein BDNF (brain-derived neurotrophic factor). This protein helps form new neurons and synapses in the brain, which is thought to improve certain mood conditions such as MDD. Ketamine also blocks the NMDA receptor, which in turn causes an increase in glutamate levels (glutamate is an important neurotransmitter in the brain) and results in a cascade of positive neurobiological changes. Both of these pathways and possibly others that still aren’t fully understood are related to the way ketamine works as an antidepressant. One Cochrane review looked at 25 randomized controlled trials involving ketamine’s effects on brain receptors in people with severe depression. It found that while other antidepressants can take 6 to 8 weeks to become effective, ketamine may offer rapid effects in comparison to a placebo. The authors noted that the initial studies are small and there’s uncertainty about how long ketamine’s effects last. Another 2016 study of 14 patients with TRD found that after 3 weeks of twice-weekly ketamine infusions, 7 (50%) experienced remission from suicidal thoughts. Two of these 7 people maintained remission for 3 months. There isn’t quite as much data about the use of ketamine to treat PTSD, but one trial that has been published showed a significant reduction in PTSD symptoms. Ketamine is currently only FDA-approved for surgical anesthesia, so it must be prescribed off-label (not for its intended use). And because it’s off label, it must be administered by a specialty clinic, which means it may not be covered by insurance and can come with a hefty price tag at $400-$800 per infusion. Learn more about available clinical trials here (and be sure to talk to your doctor before changing anything about your treatment regimen). Have you tried ketamine or been involved in a ketamine clinical study? Join or sign in to PatientsLikeMe to jump in the conversation today.